ANd trek to spectacular mardi himal Base Camp in Nepal! 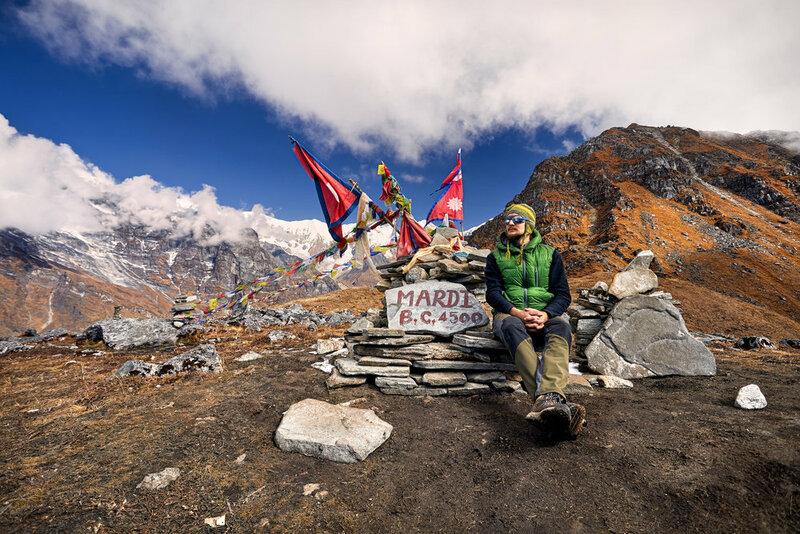 Our Mardi Himal Adventure in Nepal is designed for those who love to get off the beaten track, explore incredible new locations, and have an authentic Nepalese trekking holiday. Imagine the experience you will have, giving yourself the opportunity to witness breathtaking scenery, learn about a fascinating culture, connect with other like-minded people and get fitter and stronger than ever before! On our Mardi Himal Adventure you'll be heading off with a highly experienced team to explore some of the most beautiful and unique parts of Nepal. During the trip you'll visit the ancient temples of Kathmandu, trek through rice fields, bamboo forest and rugged mountain ranges to reach Mardi Himal Base Camp at 4500m, then relax and explore the beautiful lakeside town of Pokhara. Check out this video of our Nepal Adventure in October 2018. This is Primal Adventures trip to Annapurna Base Camp in October 2018. Accommodation: We stay in one of Kathmandu's best 5-star hotels and a well located 3-star hotel in Pokhara near the lake. While trekking we stay in comfortable family-run trekking lodges, in twin-share rooms. Food: Virtually ALL your meals are included, including breakfast, lunch and dinner while on the trek. See itinerary for specifics (BLD). Additional meals in Kathmandu and Pokhara plus a few drinks cost around US$10-15 per person (and typically much less).